With Computex going at full speed, it is only logical that Intel will make a few announcements, hinting of what it has in store for us. The world’s largest CPU manufacturer demoed Honeycomb tablets that run on its silicone, revealed the chips that will power the next-gen netbooks and promised a whole new class of devices, intriguingly called Ultrabooks. Those Ultrabooks will be mainstream thin and light mobile computers that ambitiously target a market share of 40% by the end of 2012. 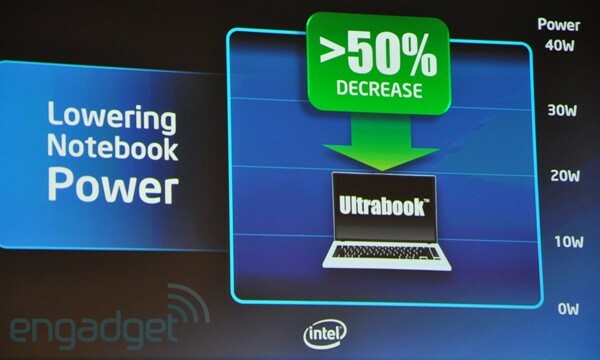 Intel says Ultrabooks will achieve a thickness of under 0.8” and prices below $1000 thanks to their new 22nm Ivy Bridge chipsets. As far as netbooks are concerned, Intel promises to speed up their development twice with a new generation of Atom processors appearing each year now, rather than every two years. The next-gen netbook platform is based on 32nm instructions, but we should see 22nm and 14nm solutions following in 2012 and 2013. That’s a quite a promise and well ahead what Moore’s Law suggests. 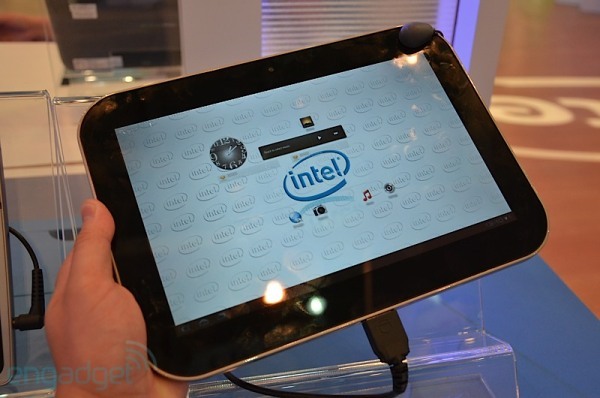 We leave the Intel Oak Trail-based tablets for last, as there’s simply not that much to say about them at this stage. The company obviously has big plans there, but at this stage the prototypes are far from being finalized (as a matter of fact they are barely usable). It seems that Intel is about to rapidly up the pace so competitors will have to try extra hard to keep up.